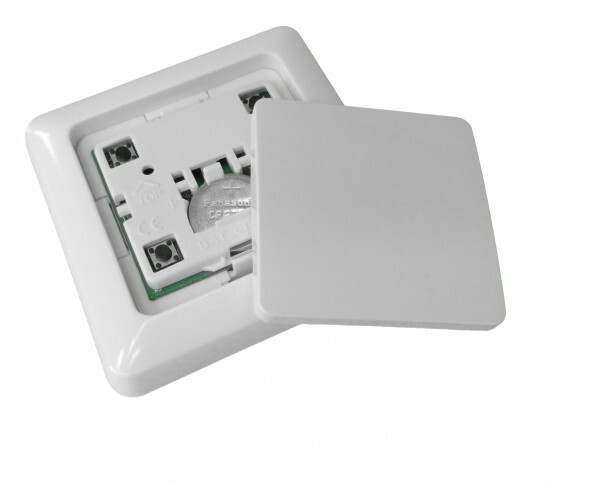 Product information "POPP Wall Controller 2"
Control other Z-Wave devices via association using "ON", "OFF" or dimming commands. With the battery-operated POPP Wall Controller 2, you can control your smart home from everywhere in the room, because the flat switch can be positioned on every planar surface like a wall or your furniture. Using the Wall Controller 2 is as simple as using an ordinary light switch – but with significantly more functions. Related links to "POPP Wall Controller 2"